People rarely purchase the first time they visit a site. Getting them to take a second look is the secret to ecommerce success. Did you know that nearly 96 percent of your first-time visitors are not ready to purchase from your website right away? That means in most cases, in order to make a sale, you need to encourage your visitors to return more often to your site. Retargeting is the best way to target your first-time visitors on different marketing channels and encourage them to return to your site. Since retargeting helps you to target your existing prospects, it will likely boost more engagement than untargeted ads, making your entire campaign cheaper and cost-effective. Let’s take a look at a few ways to win back your customers with retargeting. If you’re after an easy retargeting solution, Facebook retargeting could be the right choice for you. All you need to do is to add a pixel to your website. It simply attaches a cookie to your visitors’ browser so you can retarget them when they are on Facebook through a custom ad or boosting your blog posts. Boosting your posts will drive traffic to your site. When done correctly it can also increase the organic reach of your posts on Facebook even when you’re not advertising. Now, when you’re looking to make sales through Facebook ads, you need to follow a different approach. Instead of boosting your recent posts, you can focus on sharing resources through Facebook ads that can help your prospects to move to the next level in their journey as a buyer. Use retargeting as a launch strategy. It’s easier to sell to your existing customers than acquiring new ones. When you launch a new product, it is a no-brainer that you need to let your existing customers know about it. But what if a significant amount of existing customers haven’t visited your website or engaged with your marketing messages for a while? Chances are they wouldn’t be aware of your new product release. Retargeting is a great way to let them know about your new release. That being said, how can you retarget your existing customers who haven’t interacted with your website for a while? One way to do this is by using Facebook Custom Audience. Facebook Custom Audience allows you to target your customers based on their contact information like phone number and email addresses. 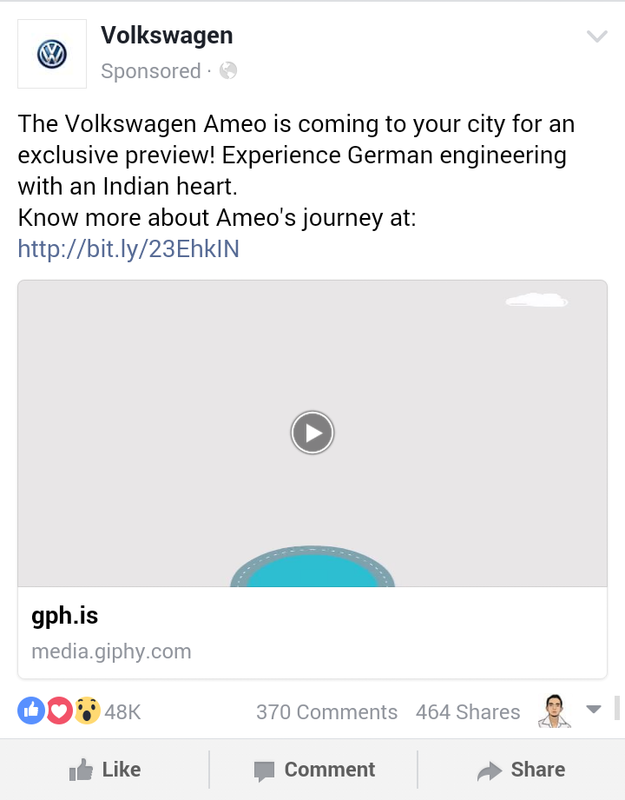 You can upload hashed customer list to Facebook and then Facebook uses the hashed data to target the specific person on your list with your ads. Here’s a perfect example of a Custom Audience retargeting ad promoting a new launch. Everyone loves personalization regardless of the industry you’re in. 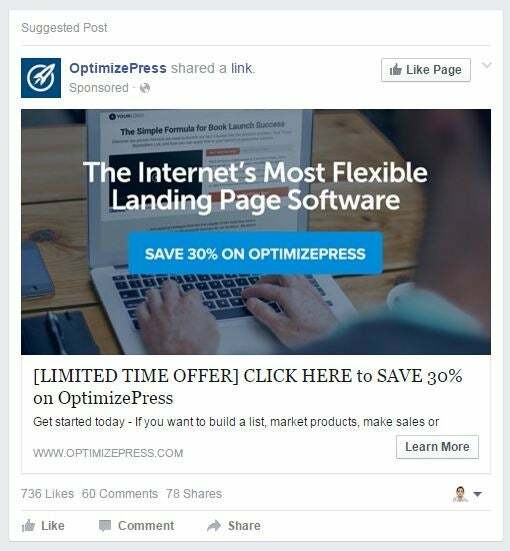 Personalizing your ads is a great way to increase the click-through rate of your ads and drive conversions. 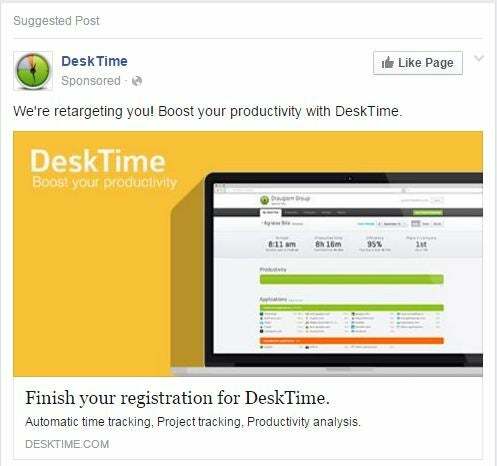 The main benefit of retargeting is that you can show a highly personalized ad to your existing users to boost engagement. For example, you can offer a special discount to your leads who have shown an interest in your product recently. To boost conversions, you can also tell them that the offer will be valid for a limited time. Another personalization tactic you can use to boost conversions is to tell your customers the next step you want them to take. For example, in the ad below, it asks customers to finish registration by returning to the site. Shopping cart abandonment is one of the biggest challenge eCommerce retailers have to tackle. Various statistics show that the typical shopping cart abandonment rate for online retailers varies between 60 percent and 80 percent, with an average of 67.91 percent. With retargeting, you can ask your customers to complete their order by returning to your site with a highly customized ad. Even if your customer clicked on your ad and return to your site, chances are they’ll navigate to other pages to add even more products to the cart. To reinforce visitors to complete the order, you can prompt them with a targeted popup coupon using exit intent technology at the precise moment they’re about to leave the site. Dynamic remarketing is one of the best features of Google AdWords. In traditional remarketing, AdWords pick one of your remarketing lists and display ads to users based on the ad groups that you created manually. Dynamic remarketing takes remarketing a step further to boost conversions. Dynamic remarketing allows you to show ads to your visitors containing the exact products and services they viewed on your site. With the right strategies, you can convert your prospects into customers and retain your existing customers for longer.